This is serious folks- I’ve been writing Cinema Sips for three years, and I’m starting to run out of Christmas movies! Next year we might be down to The Gremlins. It’s bad. Thankfully, last year’s masterpiece Carol (DVD/Download) has delayed the inevitable just a little bit longer. Featuring 1950’s holiday dysfunction, beautiful vintage clothes, and classic cocktails, this is the perfect thing to kick off a season of overindulging. Based on the novel by Patricia Highsmith (a personal favorite author of mine), Carol tells the unlikely love story between glamorous suburban housewife Carol, and bohemian shopgirl/photographer Therese. Cate Blanchett and Rooney Mara portray these characters so beautifully, and I find myself rooting for their impossible romance with all my heart. Director Todd Haynes has made what feels like a classic film in modern times, and this quiet story that happens to be set at Christmas is just the reminder I need that despite the tinsel and holiday music and greeting cards, real life is still happening too. Stir gin and vermouth in a cocktail shaker filled with ice. 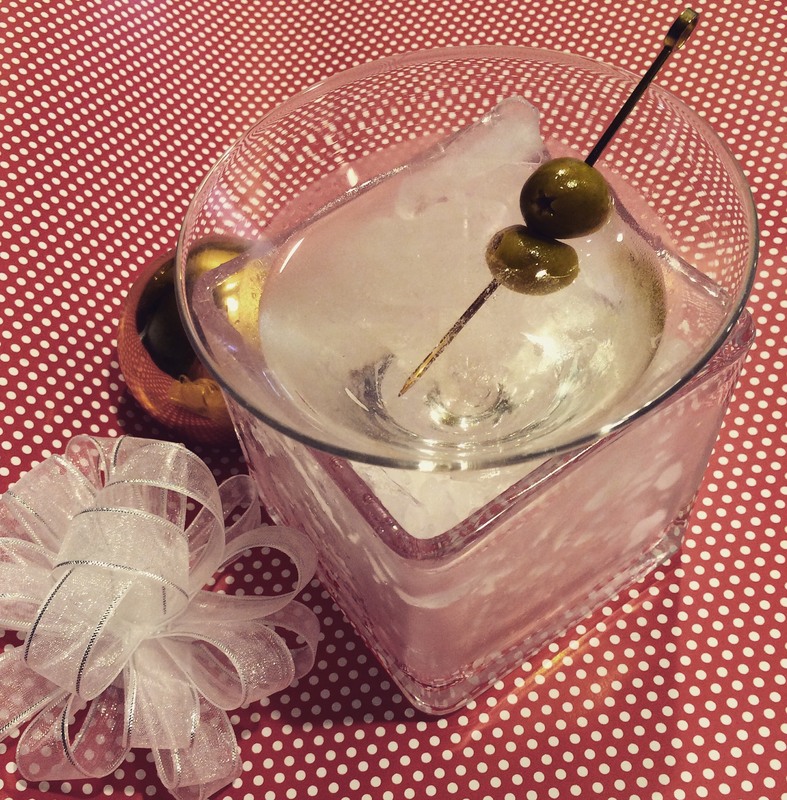 Strain into a martini glass and garnish with an olive. I’ll always love my old Christmas stand-bys like The Holiday, Love Actually, Little Women, etc, but it feels good to add a new classic to the mix. Sipping a martini in a Sandy Powell dress while 1950’s New York buzzes around you? Sounds like a perfect holiday fantasy to me. Cheers! Posted in Dramas, Holiday Films and tagged Carol, Cate Blanchett, Christmas movie, Gin Martini, Holiday Films, Kyle Chandler, movie cocktails, Patricia Highsmith, Rooney Mara, Todd Haynes. Bookmark the permalink.